Mike Christie and Chantal Loeppky, respectively. 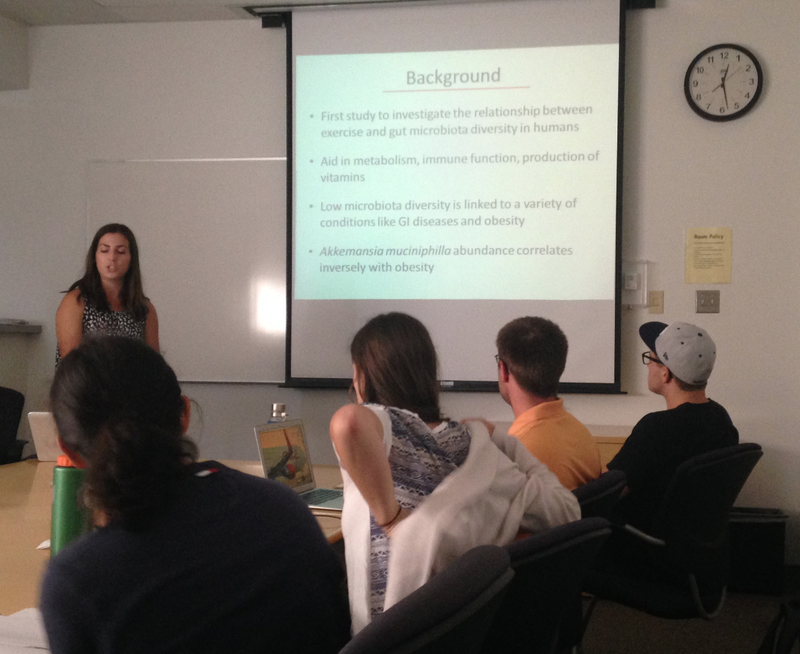 Chantal Loeppky presents her article to members of the Doyle-Baker Lab. Benjamin J. Smith, Louise A. Smith, and Kaitlyn M. Verge, respectively. Foster, G. D., Wadden, T. A., Makris, A.P., Davidson, D., Sanderson, R. S., David B. Allison, D. B., & Kessler, A. (2003). Primary care physicians’ attitudes about obesity and its treatment. Obesity Research, 11(10), 1168-1177.